Most of us are now at retirement age so naturally many of us have hobbies to keep us busy. So we've started this page to let the rest of our classmates know what we do in our spare time. So if you have a hobby or passion and would like it to be added to this page, just send me an email explaining what your hobby or passion is and I'll add you to what I hope will become a great section of out website. 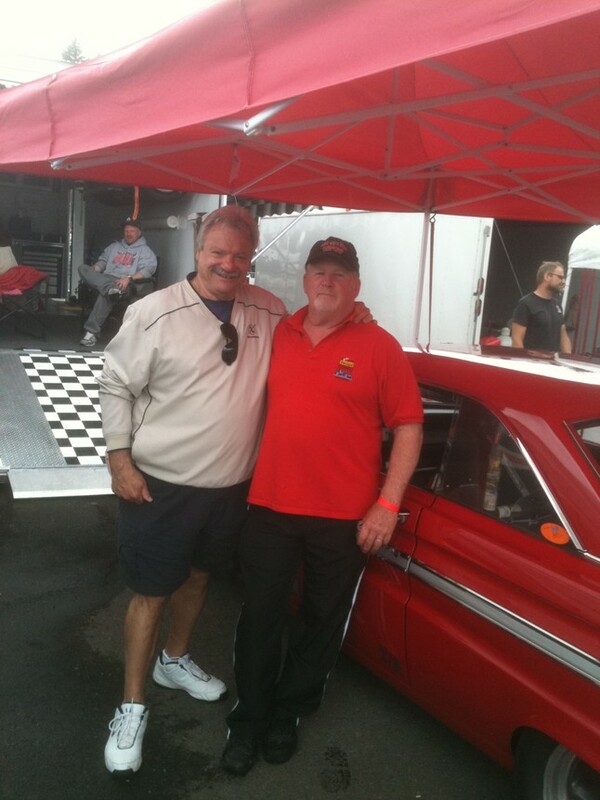 Randy Dunphy - Randy is into racing historic cars. 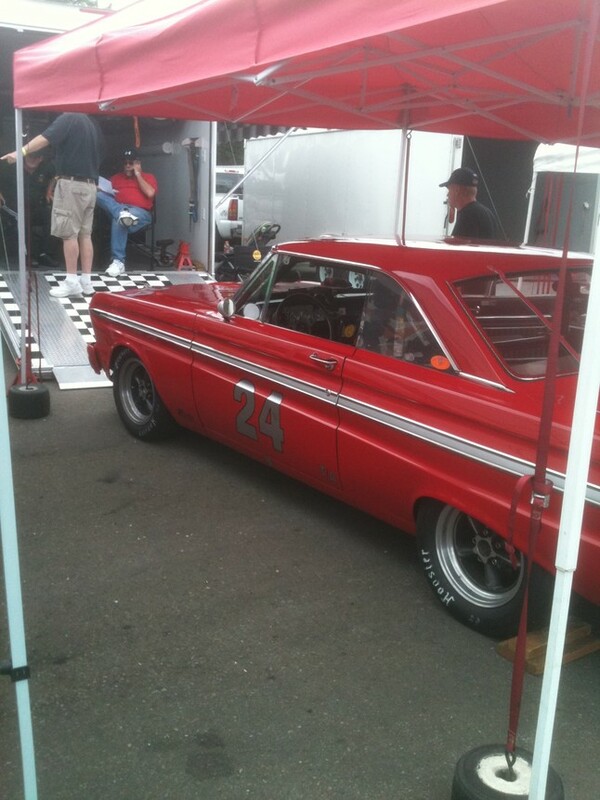 He owns and races a 1965 Ford Falcon which in not anything like your Mom and Dad's old Falcon. Randy races in the historic Group Five class which is very similar to the historic Trans Am class which used to be populated by such cars as GT350 Mustangs, Z28 Camaros and TA Challengers. 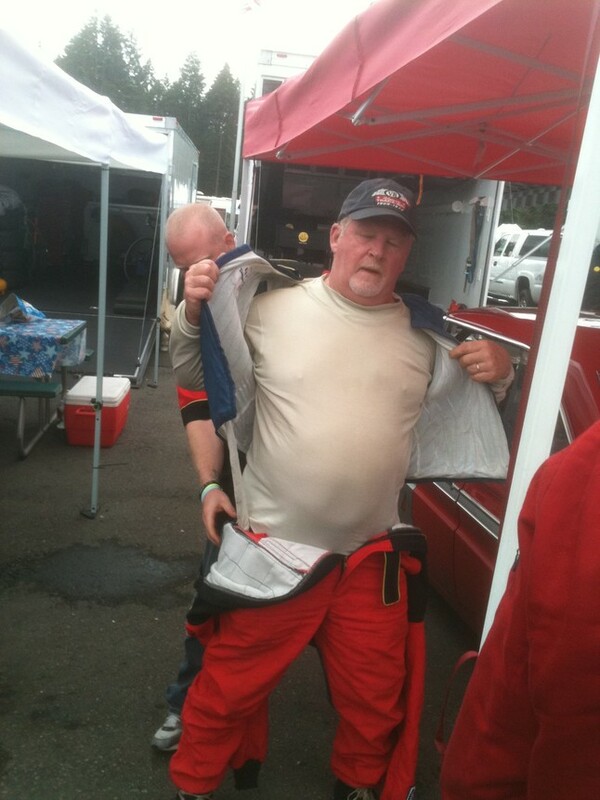 Randy races for the pure enjoyment of racing and there is no prize money or trophies given out. He and the other racers race their cars for the competition and the camaraderie of good friends who have a passion in common. And to watch Randy hit 164 MPH on the straight-a-way, and make laps at over 90 MPH at Pacific Raceways is an awesome sight to see. 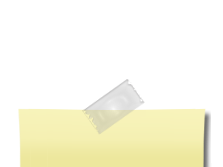 Jerry Mullin - Now what in the heck has your site administrator been up to? Well as some of you know I have been a car guy all of my life. Linda (Oliver) and I have owned everything from three different Porsches, BMW's, a Corvette and Cadillac CTS and a SRX. 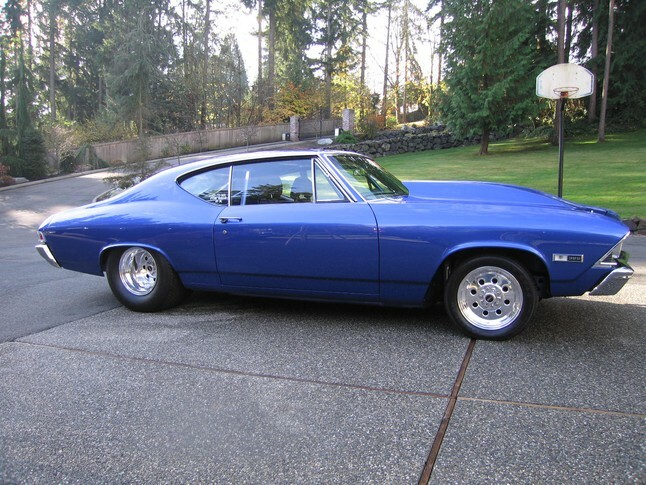 But my first love is muscle cars and now I have the privilege of owing a 68 Chevelle. It's called pro-street and has what every good boy from Renton needs, 1106 HP and 948 foot pounds of torque. Naturally it gets only 4 miles to the gallon, takes 114 octane race gas and only has a 16 gallon fuel cell. I cant drive it very far but when I do, it really gets the heart pumping. 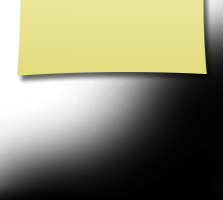 Rick Niemi - Rick recently retired from Cochran Electric. Rick has, if not a hobby to be, a very interesting challenge. 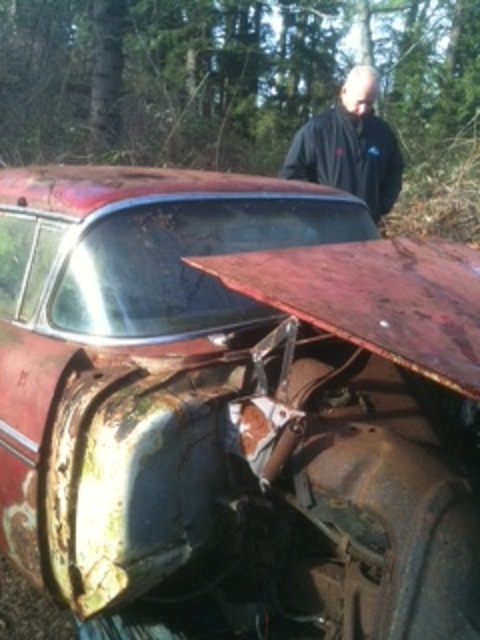 Rick still owns his original 1958 Impala that he has owned since high school. It's a two door hardtop with a 348 four barrell. But there's one problem. 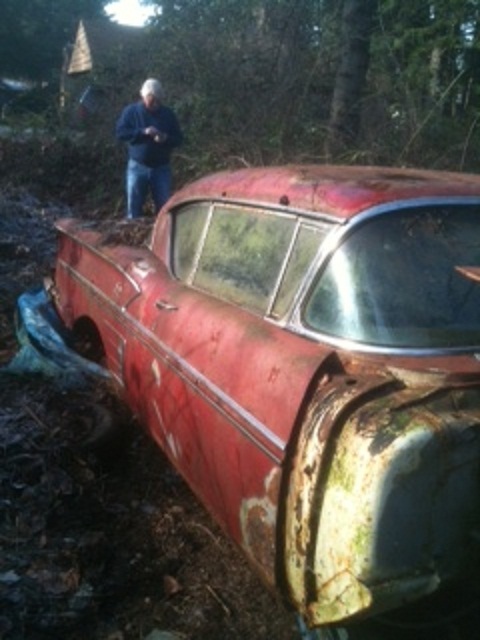 The car has sat outside under a tarp for the last 44 years. 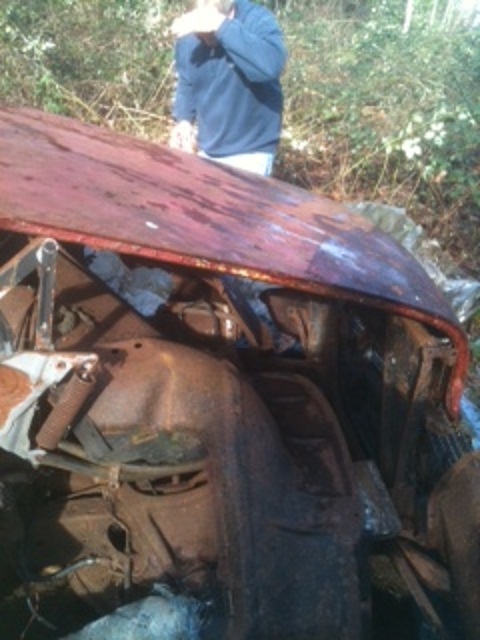 Now the challenge for Rick is wether to restore the car (it's numbers matching), sell the car as is, or use it as yard art. Maybe some of you could give Rick some advice on what to do. Jim Brier - Jim like some of us is semi-retired after a long career owning his own construction company. So what's Jim up to now? Like a lot of us in high school he loved cars and owned a few cool ones. 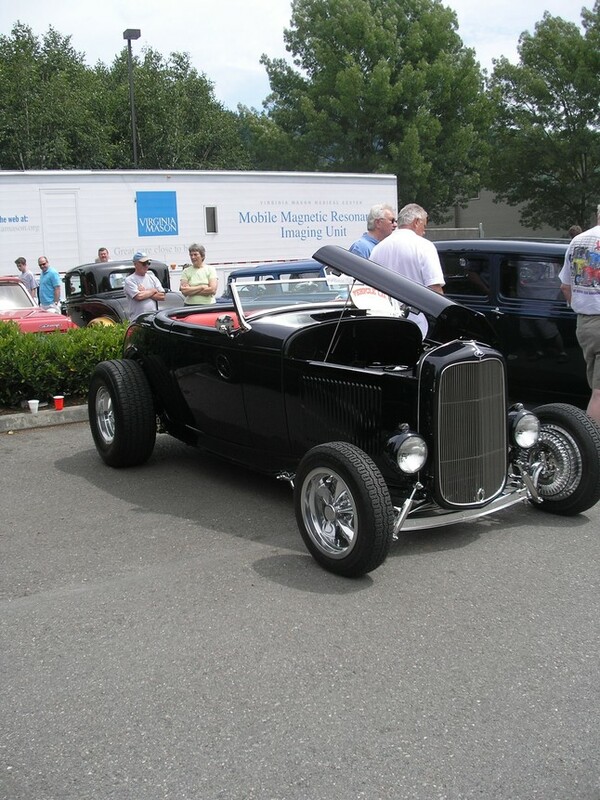 Well now with the kids grown and that primal urge to be 18 again, Jim enjoys and owns a couple of cool hot rods. 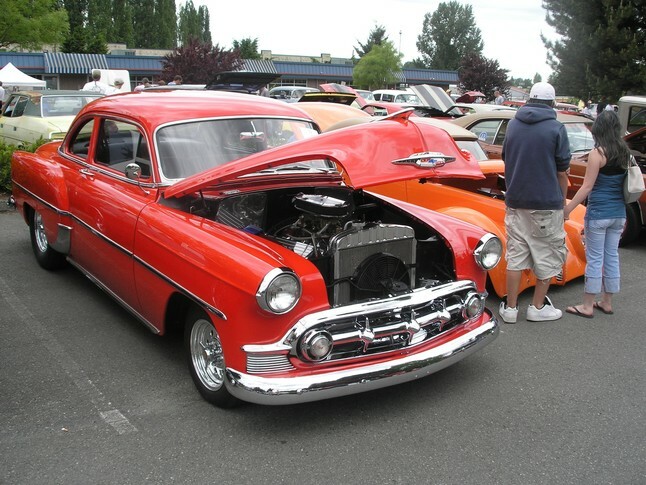 He has a really cool 1953 Chev Business Coupe with a 454 big block and plenty of horsepower. And if that isnt enough he owns a 1932 Ford Hi-Boy that many of us lusted over in high school.